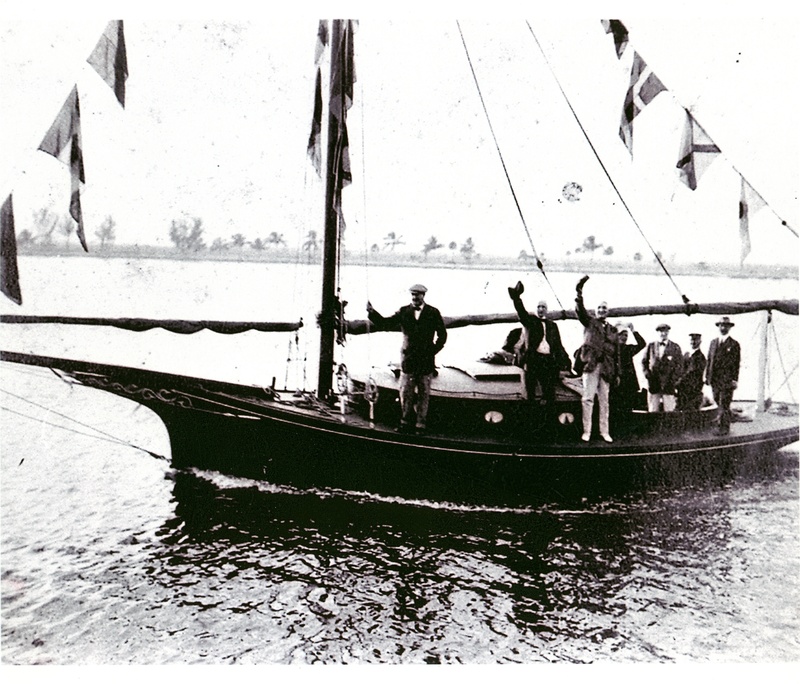 Owned by Commodore Avylen Harcourt Brook, the sloop Klyo “rescued” President-elect Warren G. Harding (in white pants, waving the hat) when the houseboat in which he had cruised hit a “snag” on the poorly maintained–and privately owned–Florida East Coast Canal (after 1929, the Intracoastal Waterway) at Fort Lauderdale in 1921. Born in Sheffield, England, in 1866, Brook retired at the age of 53 from a lucrative career in outdoor advertising to sleepy Fort Lauderdale in 1919. The short, stocky executive with a blonde ‘handlebar’ mustache acquired the title “commodore” from his association with several yacht clubs on Long Island Sound. 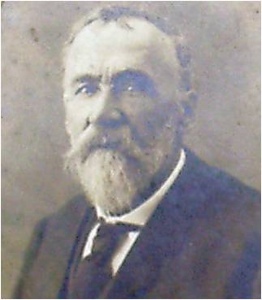 An avid waterway enthusiast, Brook fought for a federal takeover of the Cape Cod Canal owned by August Belmont, who had constructed the waterway and charged tolls. In Florida, Brook would fight for a federal takeover of the Florida East Coast Canal and its conversion into the modern, toll-free Intracoastal Waterway from Jacksonville to Miami. This entry was posted in Atlantic Deeper Waterways Association, Atlantic Intracoastal Waterway, Florida Coast Line Canal and Transportation Company, Fort Lauderdale and tagged (Commodore) Avylen Harcourt Brook, (President-elect) Warren G. Harding, Florida East Coast Canal, The "Klyo" on September 4, 2013 by Florida's Big Dig.